In the past, we’ve covered such oxymoronic concepts as Christian Goth, Christian Fight Clubs, Christian Spice Girls performances, and Christian Poker Tournaments, now the latest incompatible hobby to distract cultural Christians is Christian Horror. 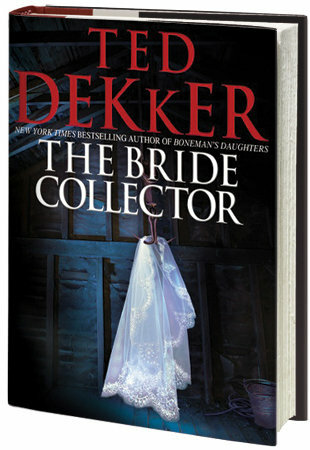 Kevin Swanson, in this 26-minute audio clip, takes on one such novel by Ted Dekker entitled The Bride Collector. You will be shocked at what this book is about, especially when you understand that it’s written by an author professing to be a Christian and being marketed to readers who profess to be Christians. “We get all excited when we find Christians who are out there making an impact on culture and politics and stuff. But what happens when their worldview is far more humanistic than Christian. . . when their metaphysical construct presents man as sovereign, and God as a little wimpy dude who just loves everybody? This entry was posted in Apostasy/Lukewarm and tagged Apologetics, Apostasy, Bible, Blogging, Book, Books, Christianity, church, Faith, God, Gospel, heresy, Horror, Jesus, Kevin Swanson, Religion, Theology. Bookmark the permalink. My wife and I have read many of Dekker’s books. Not this one. The last few have been less good and left me regretting spending the time reading them. This one – and likely no others – from Dekker will not find a place in my house. There are some leaders in our local megachurch who make no small hoopla over how they are into Ted Dekker. The sad thing is, since the leadership endorses him, the followers follow along. Disobedient Shepherds leading disobedient sheep. I think you would learn a lot if you just looked for one minute at what Ted Dekker has to say about the christian in the world today. I would encourage you to read at least one book of his, and the first I would recommend would be Black, the first book of a series retelling the Christian redemptive history. I also just read Ted Dekker’s new book Immanuel’s Veins, and I think you might like to hear what I thought about it! The story was very cool I must say and the new take on vampires was awesome! Check out http://fablefreak.wordpress.com for my review!